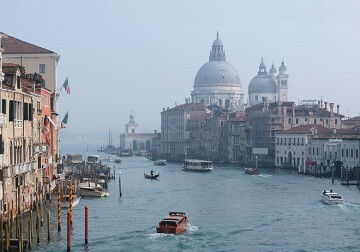 Venice, with its old idyllic charm and winding waterways, is well known as one of the most romantic cities in Europe. Add thousands of tourists converging in narrow streets and clusters of flying pigeons escaping your face by inches, and some of the lustre is lost. 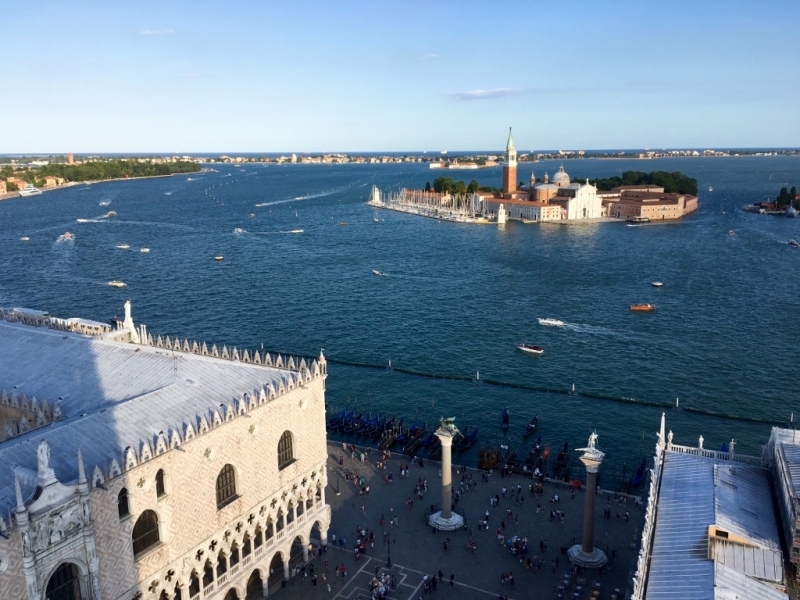 Despite the crowd, we were still fully enchanted by Venice’s sights and sounds, though there are a few things to avoid should you be making a trip to Venice for the first time. With careful planning, you can be sure to get the best experience out of this City on Water. 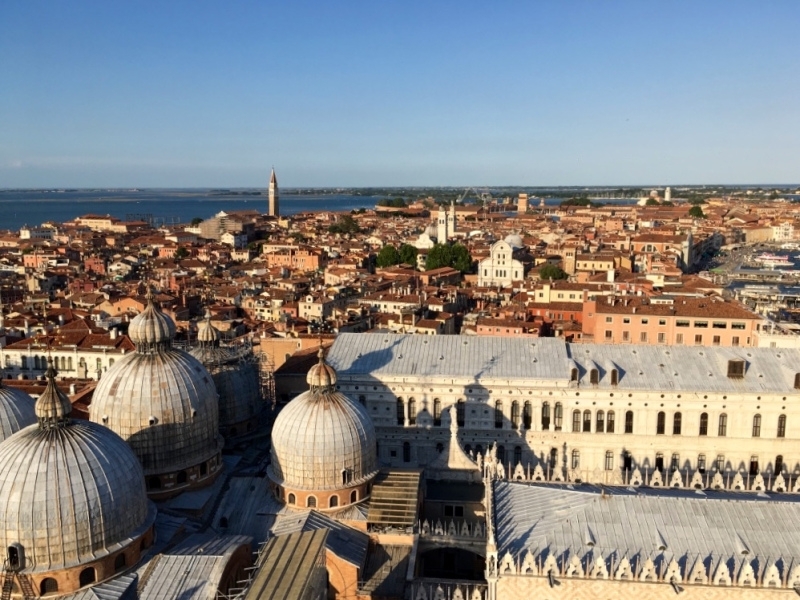 Did you know that 70,000 tourists reach Venice’s shores each day? 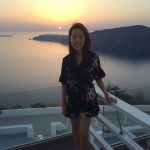 Because of the huge influx of tourists, many of whom are day trippers and cruise ship passengers, everything from hotels to food to transport is expensive! 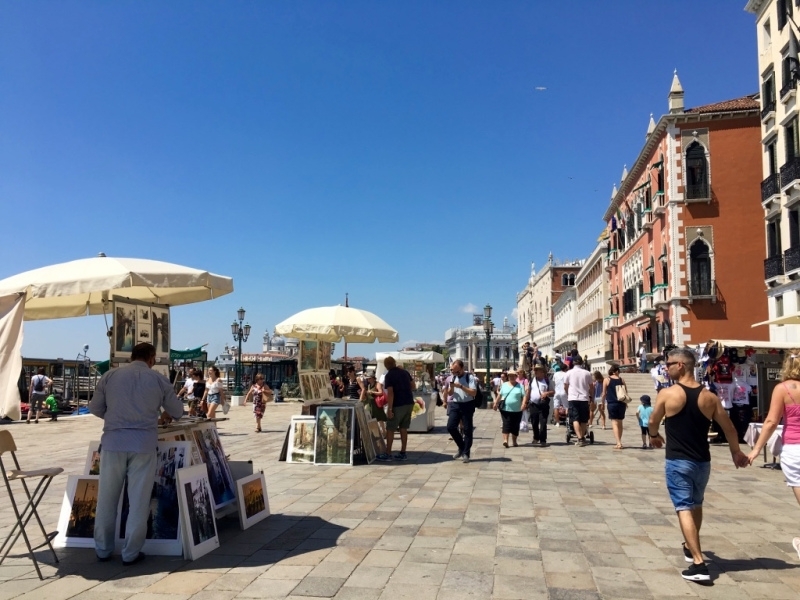 True enough, in the two days we spent in Venice, our wallets were drained faster than we could finish our cup of cappuccino at the Caffe Del Doge. Tourist traps are all around. Beware. One of which is the famous gondola ride. But isn’t this what people come to Venice for? Having experienced the gondola during my first trip to Venice, it is true that sitting on the gondola is the most luxurious mode of transport to explore Venice’s waterways – imagine a well-built Italian man in horizontal stripes paddling you through winding canals, as you sit in the arms of your lover, serenaded with song and the sights of gothic architecture. 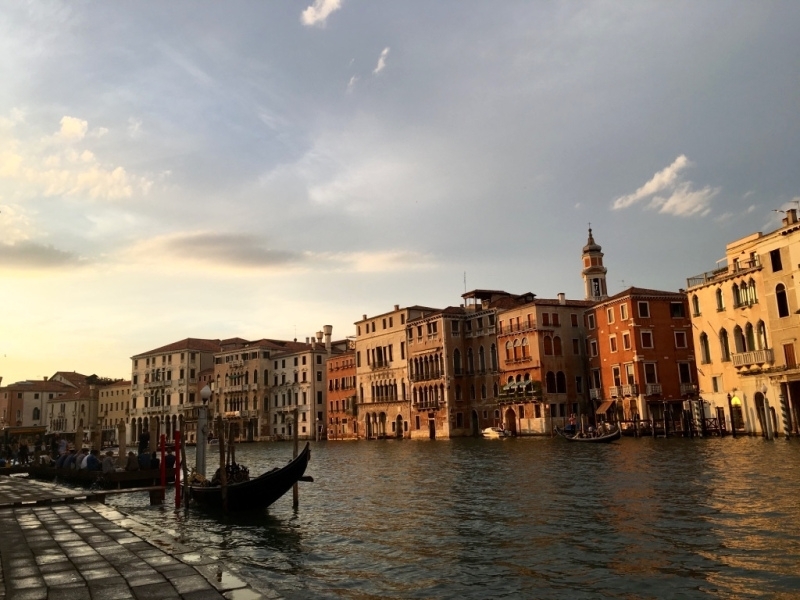 However, if you are a budget traveller and this is not on your “must do” list, the #1 Vaporetto, also known as the water bus, can take you through the same route along the Grand Canal to tour Venice on boat. 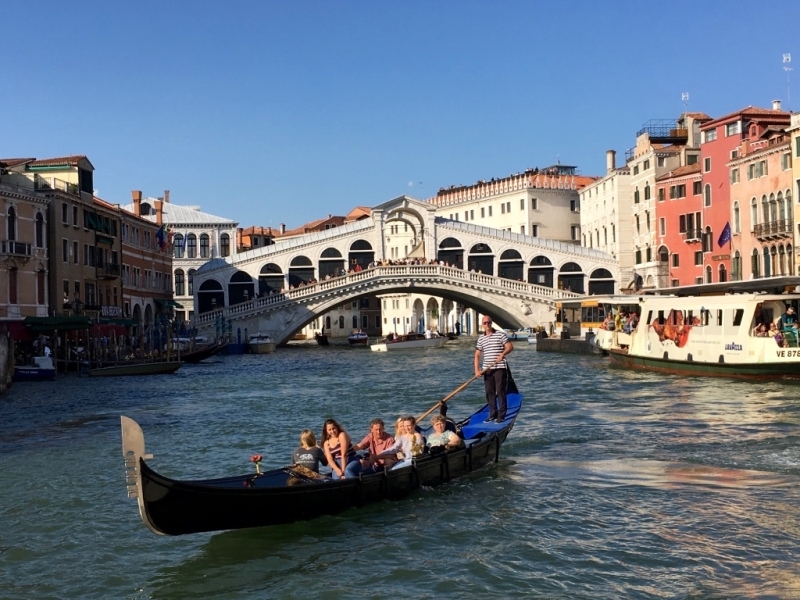 In comparison to a 40-minute gondola ride which will cost you 80 to 100 euros, a one-day Vaporetto ticket costs only 20 euros, and you can have as many rides as you like. 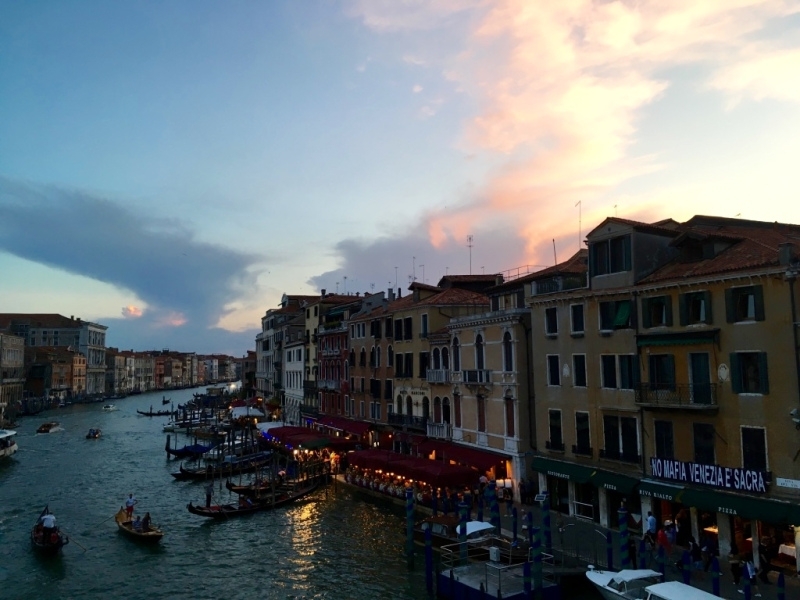 On our first night in Venice, we made the mistake of dining at a restaurant which offered a three-course set meal for a reasonable price, or so we thought. When the food arrived, we felt horribly cheated. The lasagna looked like it could have been cooked in a microwave. And let’s not talk about the dessert. When the bill came, we were charged two euros for stale bread we did not touch, and a seating fee of five euros. Seriously? A good rule of thumb is, the farther away from a tourist site you eat, the less likely you are to be ripped off. And if there is a waiter or host outside trying to attract passing tourists, it usually isn’t a good sign. The local Italian restaurants won’t have this, since they rely on word of mouth. 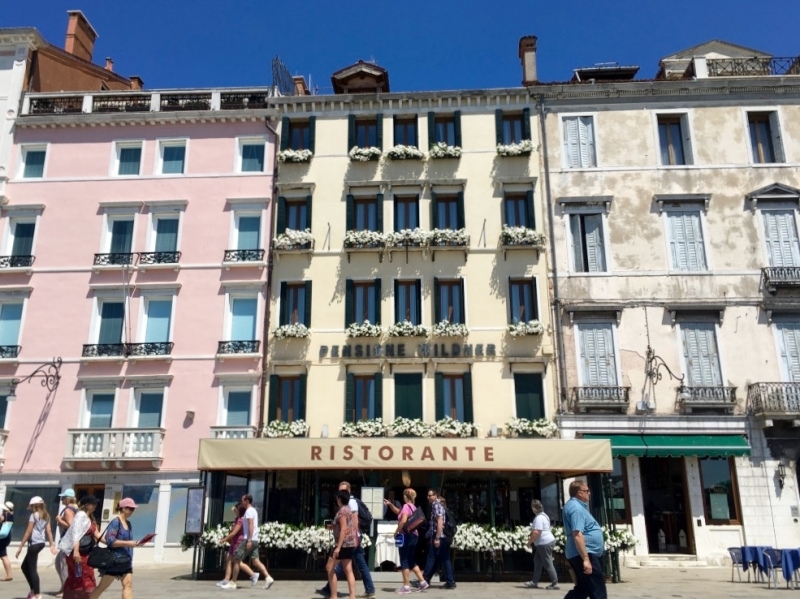 Instead, what we found most unique about Venice’s food culture was its Cicchetti. 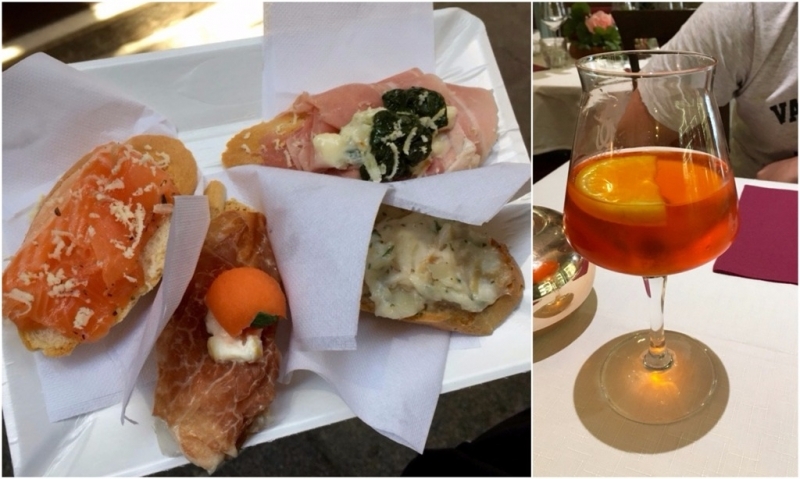 These are small bites served at local bars for one to three euros, usually nibbled over a glass of Spritz – a delightfully refreshing orange-based aperitif. Classically Venetian. 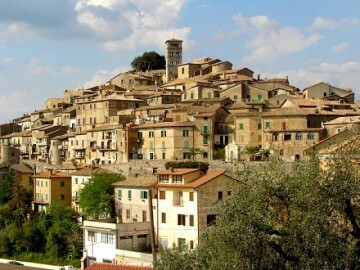 They even have Cicchetti and Wine tours for the adventurous foodie. Perhaps to avoid tourists altogether, you may want to consider visiting Venice in the off-peak seasons of November through March. 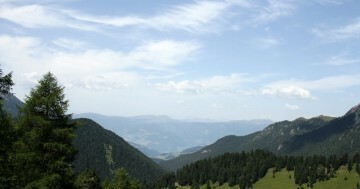 Hotel prices are about 25–50% cheaper as well. The best advice is to start your sightseeing early. By early, I mean at first dawn, before the day trip tourists arrive and swarm the city like alien invaders. 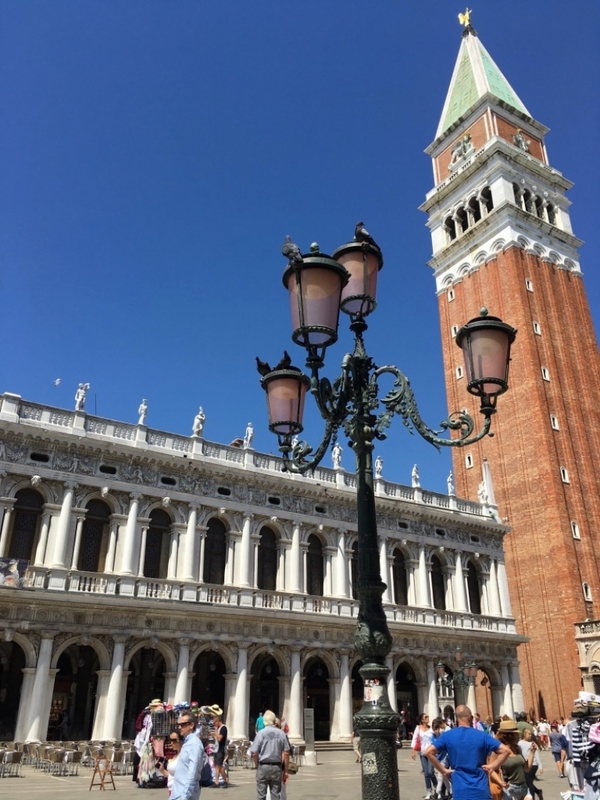 Get St. Mark’s Square all to yourself in these few magical hours before 10am and after 7pm, and I promise you will never want to leave. 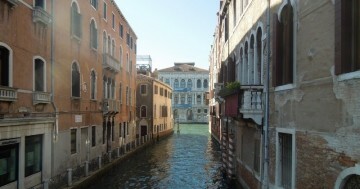 Despite the tourist traps, Venice is undeniably a beauty and many will not travel to Italy without setting foot here. 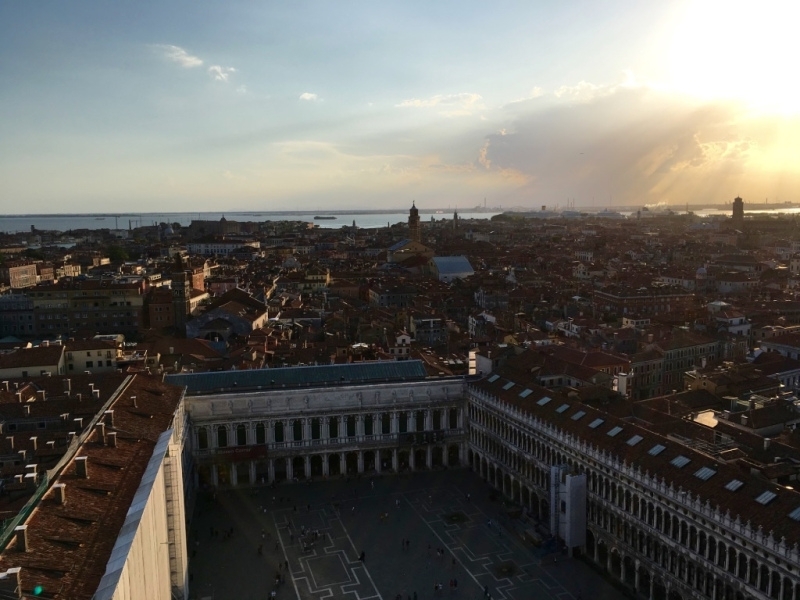 So what is it that sets Venice apart from its Italian counterparts? Let me tell show you. 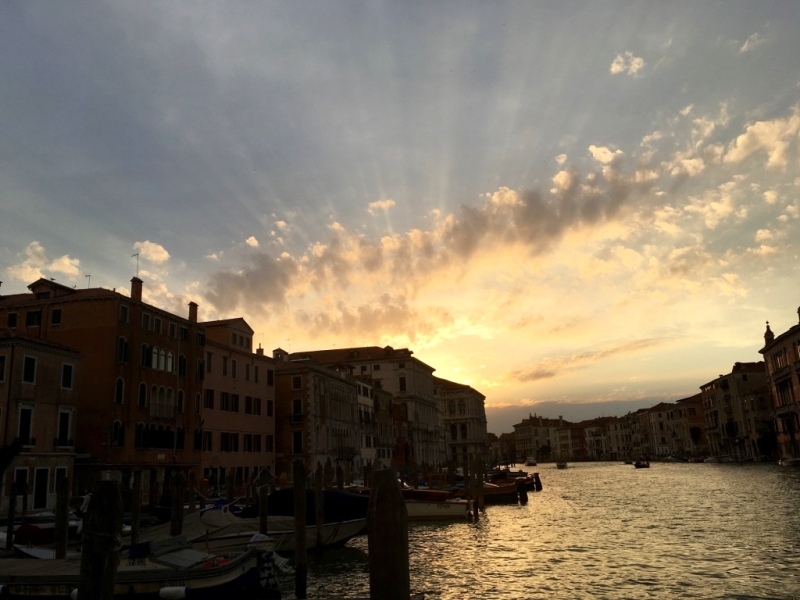 Venice is a photographer’s dream. It really is. There is no other place in the world that looks just like it. And at sunset, be prepared to have your breath taken away. 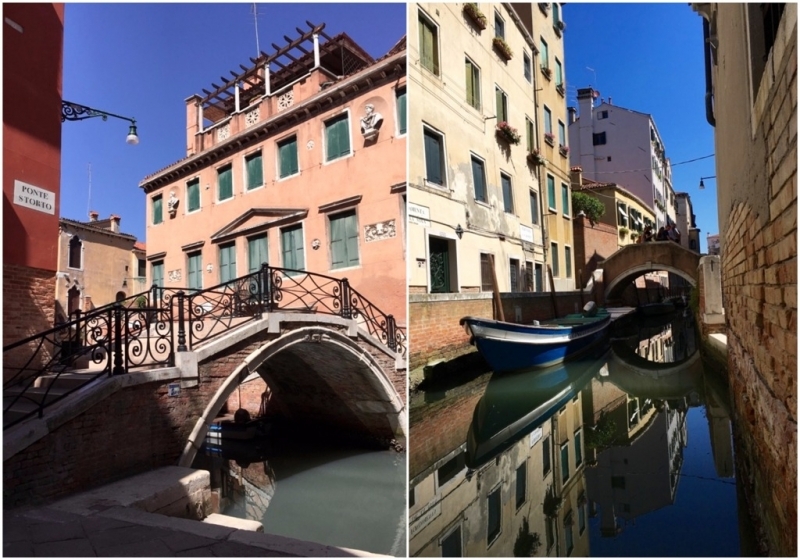 I’ll let these pictures give you a glimpse of the magic that is found in every corner and canal of Venice. 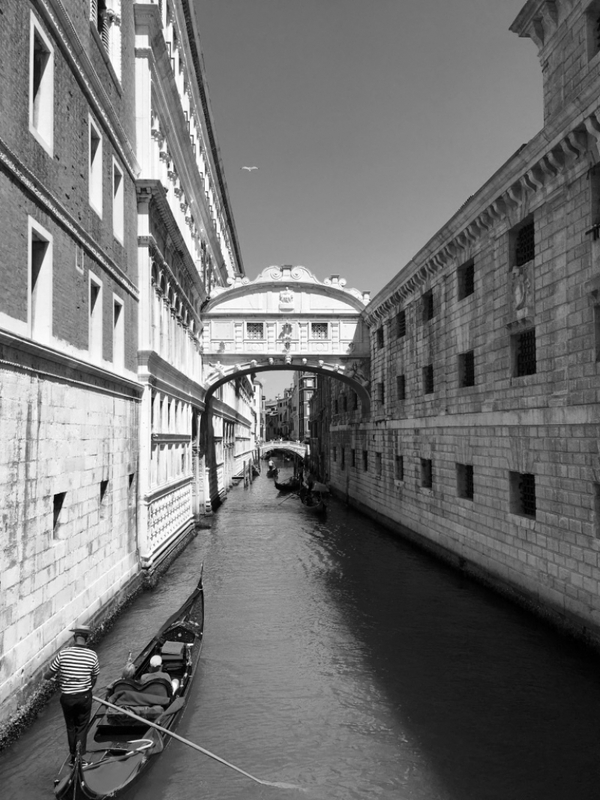 We were told that one of the best things to do in Venice is to “get lost”. Literally. So on our last day when we had some time to spare, that is exactly what we did. 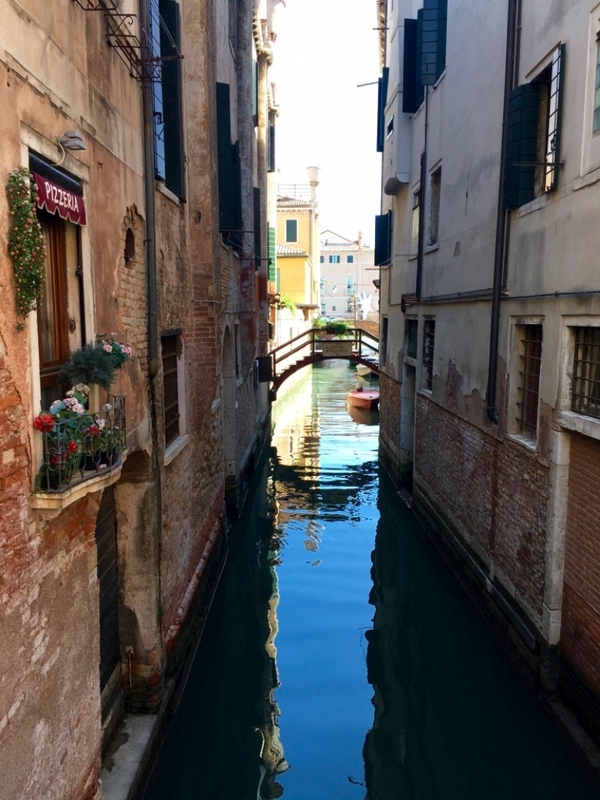 We started from the bustling centre of the Rialto Bridge, ditched the map, and wandered through a series of narrow alleyways as the streets became quieter and quieter and quieter. We crossed a couple of bridges. Everything was still, just like a painting. It was almost as if we had entered a whole new world on the other side of the island! It was not the kind of lost where you’ve taken a wrong turn and are desperately trying to find your way back. It’s the kind of lost where you don’t want to be found. 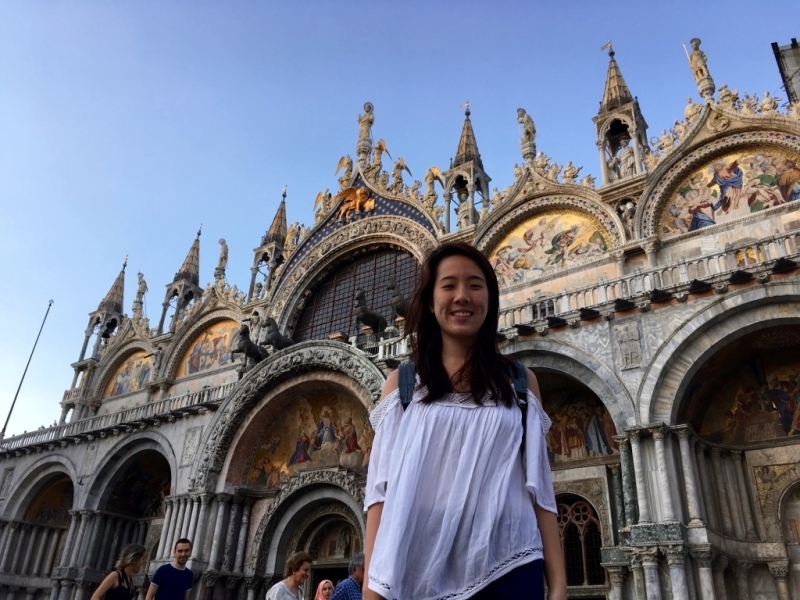 You might have heard this quote from Lewis Caroll: “If you don’t know where you are going, any road can take you there.” Just like Alice’s journey in Wonderland, I guess at the end of the day you can say Venice is truly a modern day fairytale.